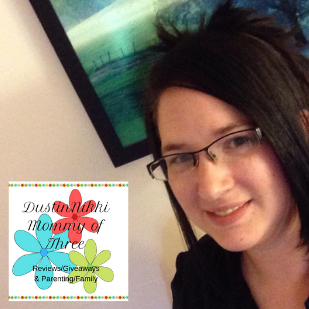 I recently received an opportunity to receive a new VoxBox from Influenster. 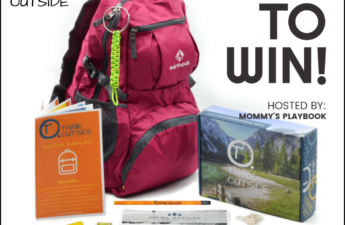 If you don’t know what Influenster is, check out my blog post HERE. 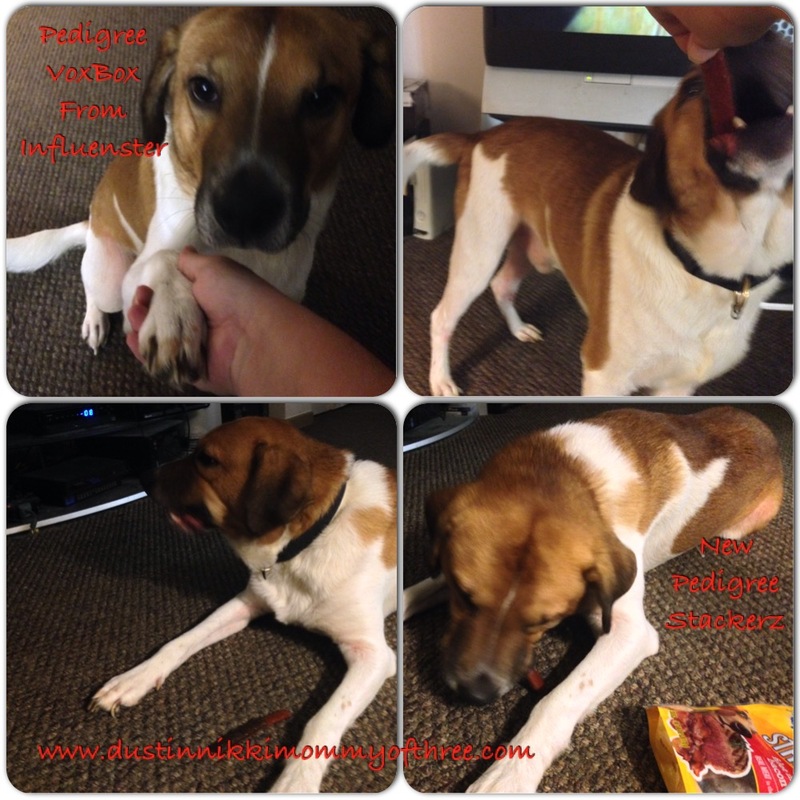 The Pedigree Stackerz VoxBox is the first VoxBox for dogs and we got to try out some yummy dog treats – at least my dog did anyway. I received a full size package of the product free from Influenster for our use and review. 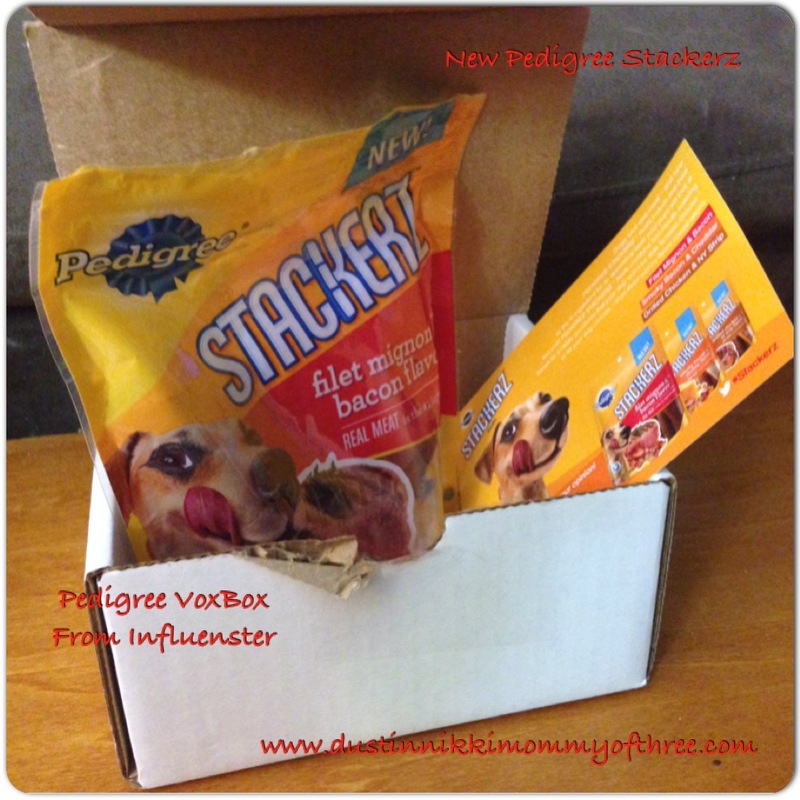 Inside my VoxBox was a full size package of Pedigree Stackerz dog treats along with an information card. These dog treats are new and they come in three flavors. The three flavors are Filet Mignon & Bacon (which is the flavor we received), Smokey Bacon & Cheddar, and Grilled Chicken & NY Strip flavor. 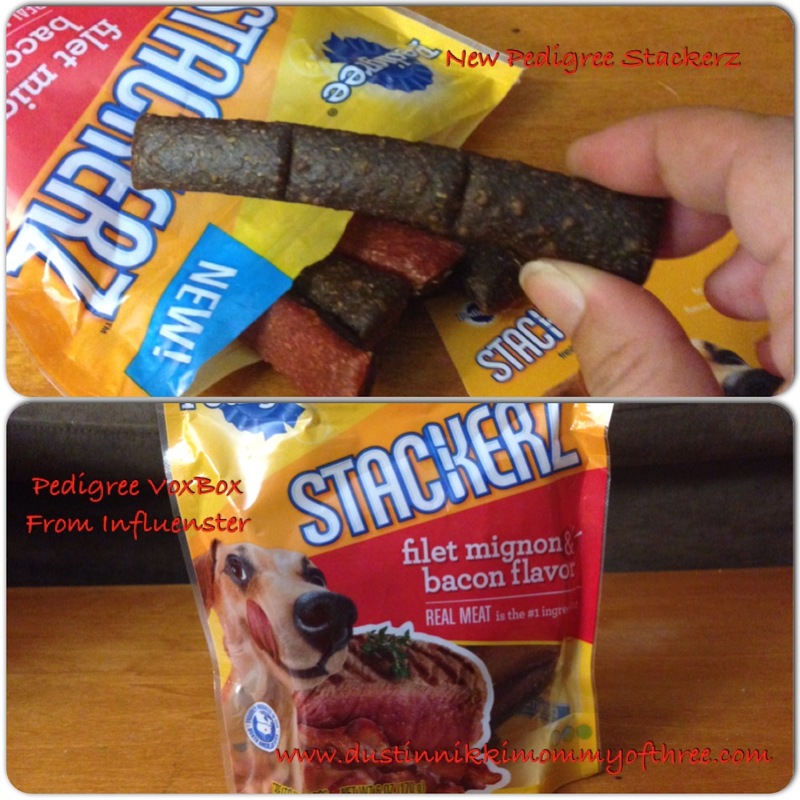 Pedigree Stackerz dog treats consists of two flavors. One side is a flavor and the other side is the other flavor. I noticed that they smelled really good after I opened them. I know, it sounds weird that a human thinks they smell good but I have bought many dog treats and some of them just stink so I thought I would mention that. They are made with real meat. What dog doesn’t like real meat?! They are great for any size dog because they can be broken into smaller pieces. Our dog, Dooley is a medium to large dog so I just give him a whole stick. There are approximately 10 sticks in a package. They are not crunchy. They are soft but not too soft. My dog loves chewy treats so this is a bonus. He can smell them a mile away too. He eats them in less than 30 seconds and he’s licking his chops for about 10 minutes after he’s finished. He definitely loves them and he now has a new favorite treat! Check out my unboxing and video review below. Visit http://pedigree.com/really-good-food/stackerz/ for more information and where to buy. Disclaimer: I was not compensated for this post. 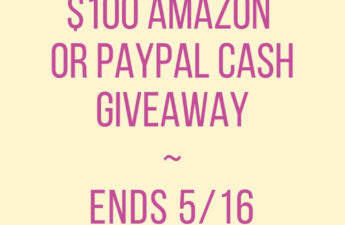 I received product mentioned in this post free from Influenster for our use and review. All opinions are 100% my own.